The veteran Australian cricketer Michael Klinger will retire from the Big Bash League (BBL) at the end of the season. 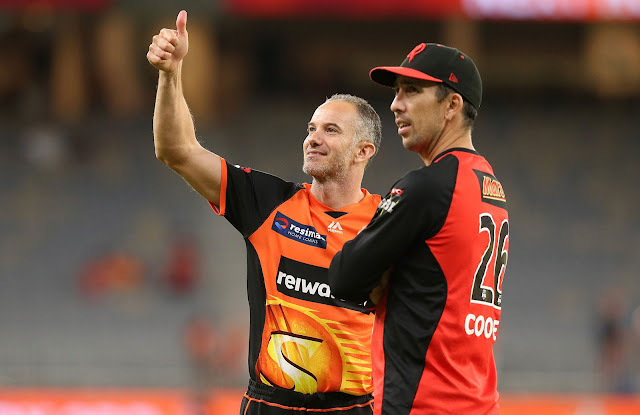 The 38-year-old, who is currently the second highest run-scorer in the history of BBL, will officially finish up with the Perth Scorchers at the end of the ongoing season. Klinger has been an integral part of the Scorchers for a long time now. But the right-handed batsman endured his worst season this term, scoring just 115 runs in nine innings at a strike-rate of 83.33. However, he will be playing for Gloucestershire in the T20 Blast this year. It will be his seventh season with the county and has also been appointed the captain of the team. Klinger will be playing his last BBL game against the Melbourne Stars on Sunday night in front of a home crowd at Perth.